What population-level results do they want to achieve? Who needs to be involved across sectors to make measurable progress towards achieving the result? How will they take action to align their own contributions and activate partners toward a shared result? Own your narrative and find your voice. Powerful action begins with motivation and urgency. The conference opened with inspiring narratives by activist and author Kevin Powell and journalist and entrepreneur Maria Hinojosa. Both shared their personal journeys and spoke about the importance of community building and bridge building. Only when we understand our own journeys can we attend to our cognitive leaps and biases in encounters with others. Their remarks reminded me of Marshall Ganz and his work to coach leaders to share their public narrative and story of self. A powerful public narrative can move others to action with urgency. Before working on your own public narrative, consider taking time to draw your own journey map. Sketch out key moments and milestones in your life that have shaped your perspective and journey in relation to the results you are trying to achieve. Education and economic mobility are inextricably linked. 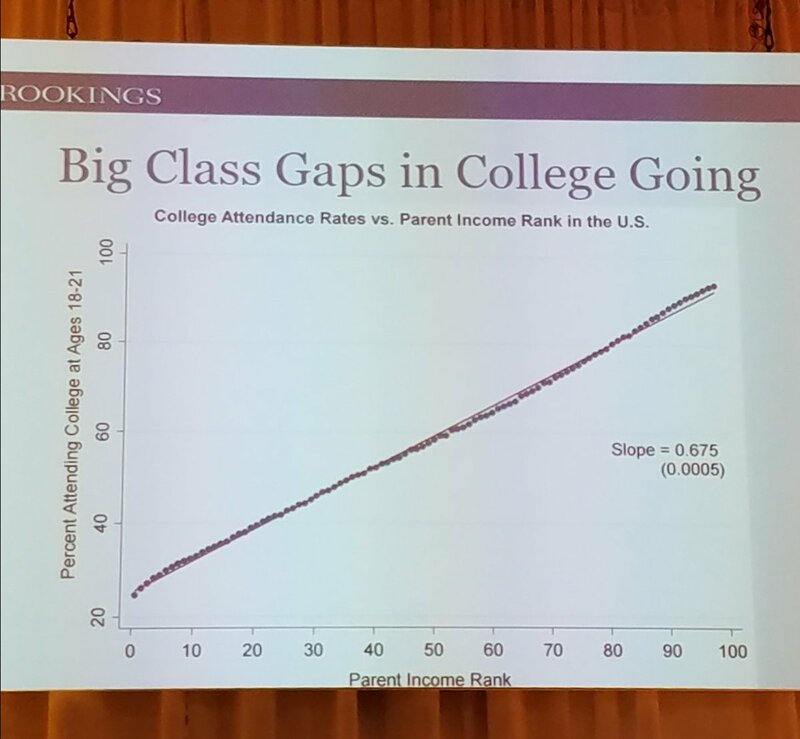 Brookings Institution Senior Fellow Richard Reeves shared research on class inequality and economic mobility, including a powerful chart showing the correlation between parental income and those who go to college. He said postsecondary education is a great equalizer in theory but a great stratifier in practice. It was powerful to connect with leaders across sectors working to disrupt this correlation. A few workshops focused on homelessness and hunger and their impact on education and economic mobility outcomes. 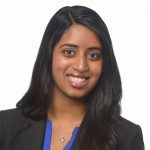 In addition to these factors, leaders working to disrupt educational disparities should consider how to include additional sectors such as health care, public safety and food insecurity. Good intentions and hard work won’t cut it. If we are to make real progress toward our goals to achieve better and more equitable outcomes, we have to move beyond just seeking to scale programs that work. Danae Davis from Milwaukee Succeeds, Luzelma Canales from RGV Focus and Janell Chery from ImpactTulsa represented the StriveTogether Cradle to Career Network in three separate workshops on integrating authentic community voice and equity into cradle-to-career work. From changing educator perspectives about applying continuous improvement in the classroom to supporting incremental changes in community college pathways, leaders across the country are shifting their focus from programs to practices with a focus on scale and systems. 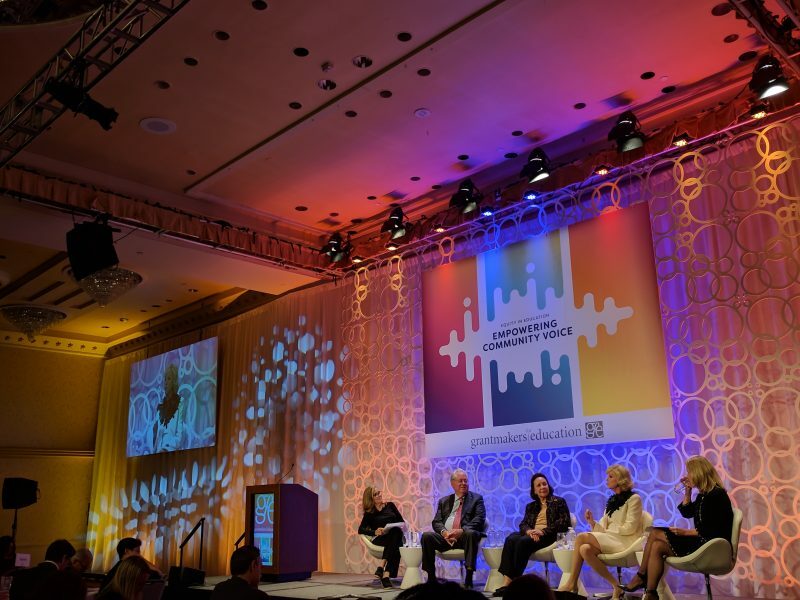 Former U.S. Secretary of Education John King shared that scaling change means policy change and Senator Chis Murphy (D-CT) encouraged investors to advocate for keeping an eye on the guardrails for equity in Every Student Succeeds Act (ESSA) implementatio. At StriveTogether’s national conference earlier this month, we talked about how to make equity a verb. By applying some of these insights and working more powerfully together, we can change the equation for students of color and low-income families across America.